The menace that is asbestos continues to blight the countryside in Great Britain. In March a costly clean up operation was put into operation when 12 large bags of asbestos were dumped on a river bank in Cambridgeshire. The overflowing builders sacks were found near Manea in the Cambridgeshire Fens. The cost to Fenland District Council was several thousands of pounds and something they can never budget for. Council officials were shocked by the scale and audacity of the crime. The bags weighed in at 12 tonnes and were found next to the river at Byall Fen Drove. We all know the dangers of exposure to asbestos and Councils are struggling to cope with this unwanted problem. As Asbestos Removal contractors Kent we ask that if anyone sees this and any sort of fly tipping they report it immediately. 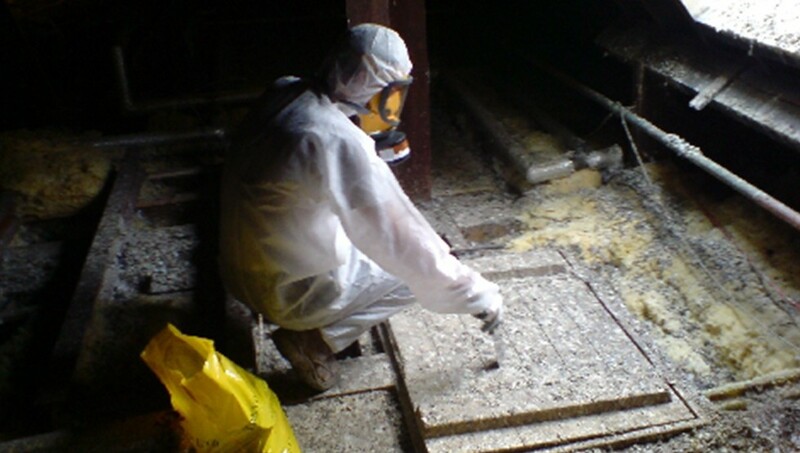 Inner City Environmental provide a full range of Environmental Services including the removal and disposal of asbestos in Kent and the South East. For more information on our services telephone us on 01322 273517. 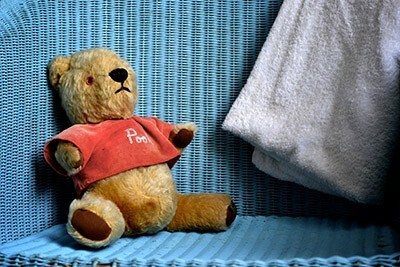 We all love Winnie the Pooh but that does not extend to Pigeon Poo known as Pigeon Guano. 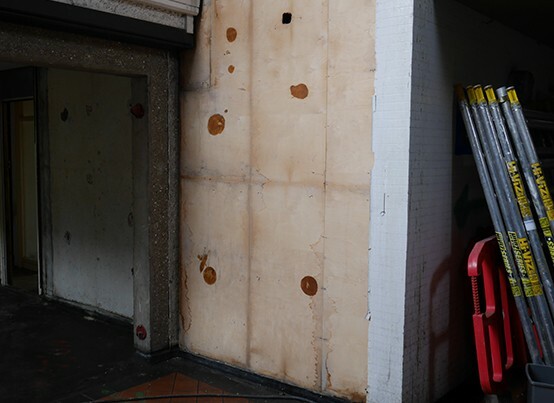 The removal of Pigeon Guano is just part of our extensive range of environmental services. Inner City hold a 3 year HSE licence and ARCA accredited. Please contact us for a quote or the opportunity to tender for future projects. We are happy to give advice on any aspects of your environmental requirements. 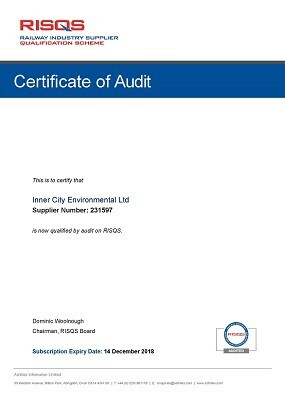 We are delighted to announce that Inner City Environmental have been verified for works on Network Rail and TFL through the RISQS Audit System. We were awarded 4 out of 5 Stars which is the most that can be awarded on a first Audit. Well done to Inner City Environmental Team! Like all teams, getting Wembley success is what everyone dreams of. 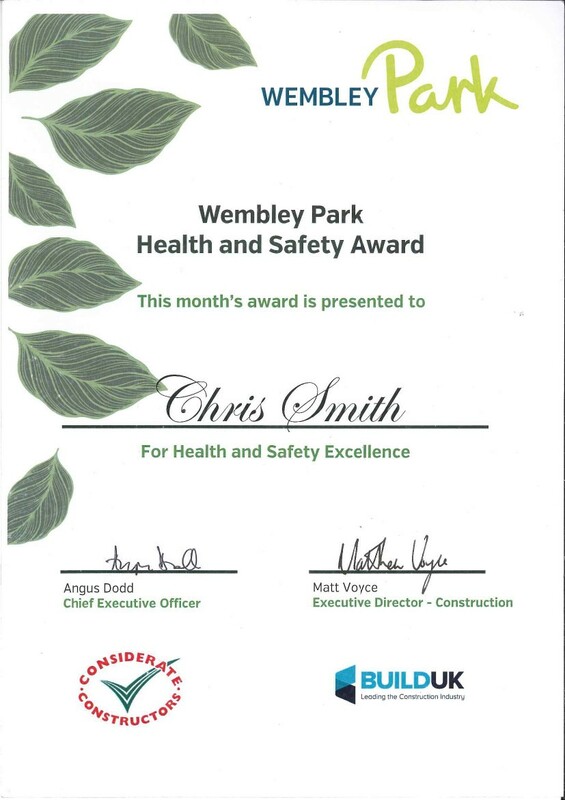 Therefore Chris Smith and his team were delighted to be awarded the Monthly Health and Safety award from Risk at Inner City Environmental's latest remediation project in Wembley for Sisk. It may not be a big shiny silver cup but it certainly means a lot to the company as it shows our commitment to Safe working practices and well and truly hits the back of the net in terms of performance. Licence renewal time and after a thorough audit by the Health & Safety Executive (HSE) for the renewal of our asbestos licence, we are pleased to announce that we have had our licence renewed for a three years. A 3 year licence awarded from the HSE means that we have been audited and passed their assessment on our safety management systems. The details of this audit are recorded on an ASB4 form and only when all aspects of this rigorous audit have been satisfied can a licence be awarded. 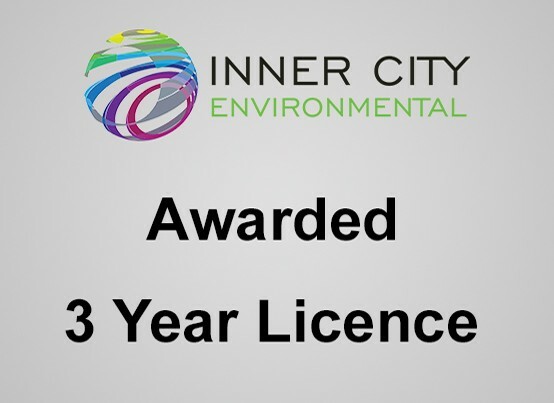 Inner City Environmental's recent award of an unconditional 3 year licence, the longest term a licence can be awarded for, was achieved after demonstrating to the HSE impeccable standards of safety, performance and our commitment to ensuring that our staff and site operatives are trained to the highest standards. Well done to everyone in the asbestos division at Inner City for their continued commitment to ensuring our high standards of safety are always met. 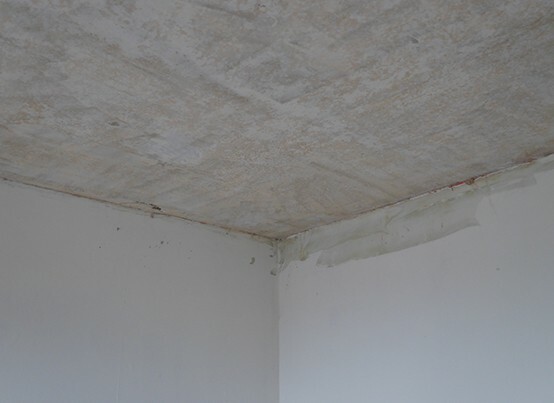 We carried out some works on the Packington Estate for Maldon Demolition. The main contractor Rydon are involved in the major regeneration of the area for Islington Council. 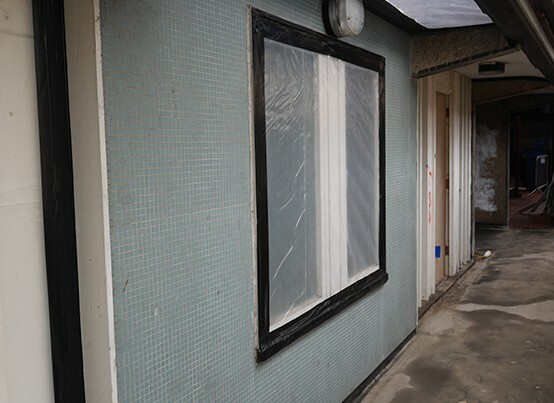 The tatty and dated estate was cleared of asbestos so that it could be demolished. Once the site has been cleared of the existing buildings, new and modern apartments will be built. We allocated a team of 6 operatives and a Supervisor to clear the site within a 6 week programme. The old estate was riddled with various kinds of ACM's. Inner City were employed to removal all of the licensed ACM's whilst Maldon removed all of the non-licensed ACM's. 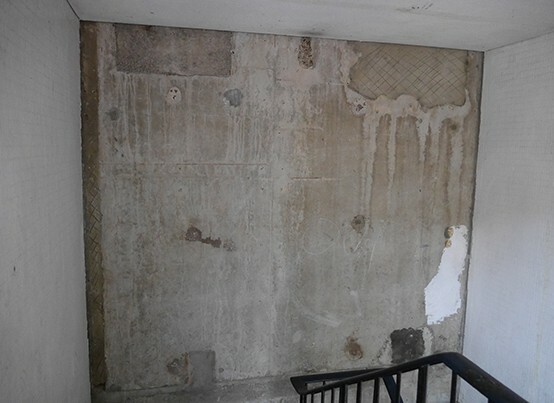 Asbestos insulation board (AIB) panels were present within the individual apartments and in the communal walkways. 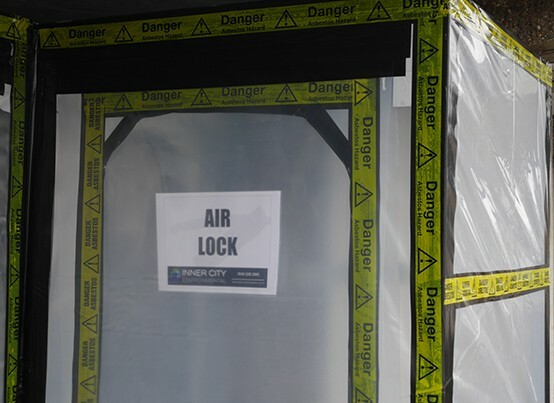 These areas will need to be enclosed within airtight enclosures, under negative pressure whilst the materials are removed. The survey also identified that there was AIB debris within the services ducts in the ground. Due to the ducts being inaccessible the concrete above needed to be broken out so that it could be accessed. This will all be completed under fully controlled conditions. Progress on site went extremely well, with the work completed 1 week ahead of programme.